LOL/OMG: Where is Sonic the Hedgehog? 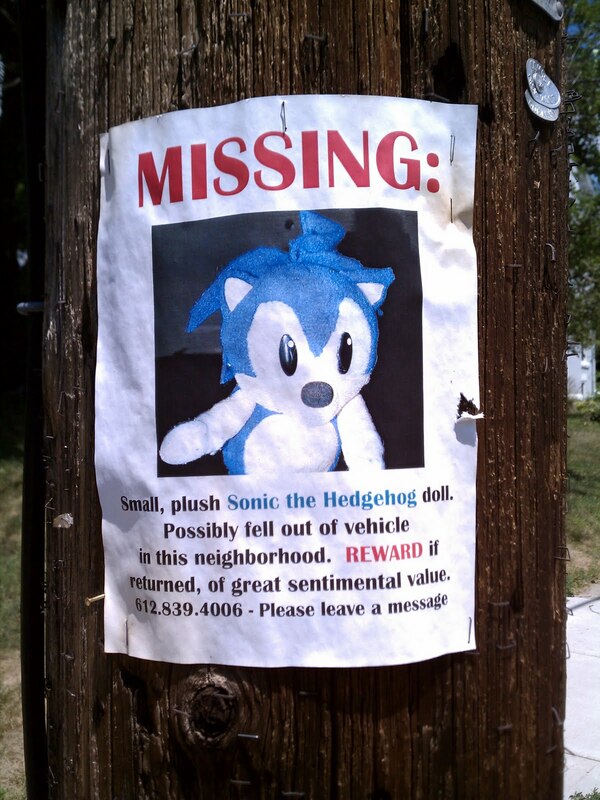 Where is Sonic the Hedgehog? Kyle Coughlin, aka Mr. Moonguts spotted this poster on the corner of 22nd & Pleasant in Minneapolis. Please call if you see him, OK? Michael Gaughan designs artwork for Andrew W.K. LOL/OMG Social Media Meetup THIS THURSDAY!